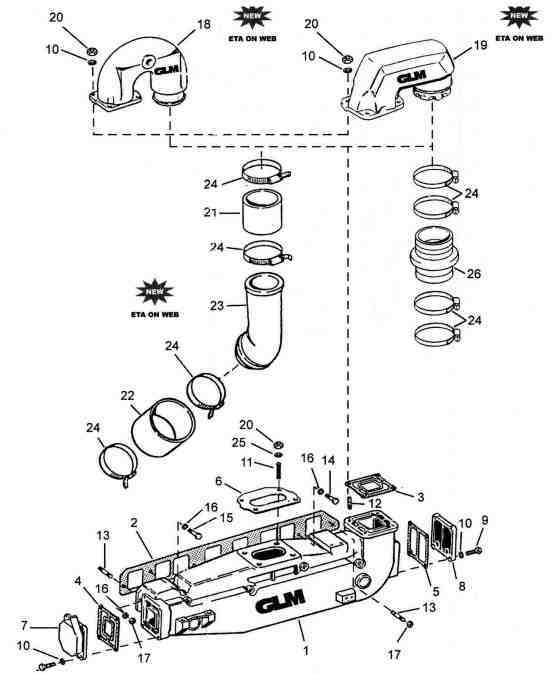 GLM aftermarket OMC unit includes: Exhaust elbow, gasket and clamp. Studs, nuts and exhaust hose. P/N 51442 Model 140 GM 181 CID 3.0 liter. 4 cylinder years 1973 to 1990. Manifold assembly with exhaust gasket, cap and elbow fitting.